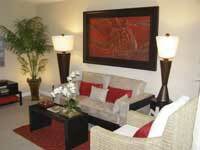 Bella Vita condo in Las Vegas is offering a three percent rebate. Bella Vita Las Vegas is located in the southwestern Las Vegas Valley, featuring five tennis courts and six swimming pools. Condo sales are in the final phase. Dolce by The Lakes, Las Vegas homes for sale, offers 3 percent rebate in this new resort-style condominium complex. These homes for sale in Las Vegas are across the street from The Lakes and Canyon Gate Country Club located at the southwest portion of the Las Vegas Valley, affording prospective residents the opportunity to share close proximity with great developments, with a starting price of only $162,900. Dolce condo in Las Vegas is offering first-phase incentives, including the opportunity to apply 3 percent of the Las Vegas home’s base price towards closing costs, or buying down the interest rate. Toll Brothers homes for sale in Las Vegas estate-size home sites at Hidden Canyon with inspiring views create the inspiration for pool design ideas at Toll Brothers Homes Hidden Canyon real estate in Las Vegas, Nevada. Hidden Canyon Toll Brothers homes models are located in the gated, single-story community featuring courtyard pools, brooks and leaping whales. You’re only limited by your imagination when creating an exciting pool. Some designs include a tropical look or a sports pool where you can play year round basketball. Water slides and stone waterfalls are a few of the many ways Toll Brothers homes homeowners have enhanced their own backyard pools. Hooters Girls Las Vegas Winner of 10th Annual Hooters Swimsuit Pageant 2006 is Michelle Nunes. Hooters Girl Michelle, representing the Hooters Hotel and Casino, was selected first place over 120 Hooters Girls from around the world to represent Hooters for the next year, as Miss Hooters International 2006. Among the many prizes and opportunities that accompany the crown, this Hooters Girl from Las Vegas will take home the first place prize of $50,000 cash as well as be featured in Hooters Magazine, national marketing campaigns and TV commercials. This year’s Pageant was held at the Aladdin Casino Las Vegas Theater of Performing Arts. The judges included Leeann Tweeden of “The Best Damn Sports Show,” television personality Brooke Burke; NASCAR driver Dale Earnhardt Jr.; Jerry Buss, owner of the LA Lakers; NBA Player and Sportscaster, John Salley; Rob Dibble from Fox Sports News “The Best Damn Sports Show”; and Nick Valvano, CEO of The V Foundation for Cancer Research. The Hooters Girls Pageant also featured an appearance by Anna Burns, Miss Hooters International 2005.